The Daily Rant: Raving on ‘Misfits’. | What I think About When I Think About Writing. The Daily Rant: Raving on ‘Misfits’. The concept of the television show Misfits is simple. Take a disparate group of dysfunctional young men and women, give them some super powers, and then watch as they come to terms with their new responsibilities and hopefully put away some bad guys. So far, so very X Men and Heroes, right? Well, kind of right. Throw in some exceptionally foul language, a bucket or two of blood, a heap of sexual shenanigans, as well as the most quotable dialogue this side of The Princess Bride, and you’ve got yourself a recipe for the freshest television series I’ve seen in many a year. 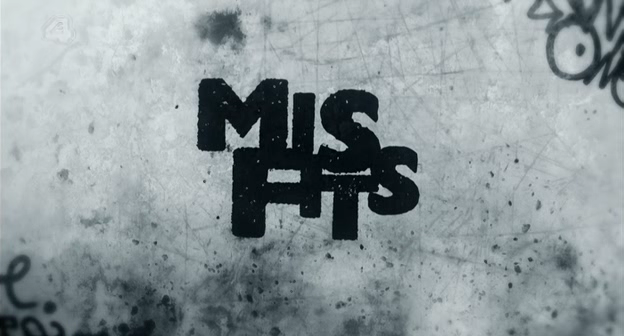 Last Sunday saw the premiere of Misfits‘ third season. Already it had its back against the wall because it had lost its leading star Robert Sheehan (Nathan) and many fans had claimed the show would suffer for his leaving. Enter Joe Gilgun, an accomplished actor in his own right. The show would sink or swim on his performance and character. I am delighted to report that none of the spark has gone. If anything, I think Gilgun’s addition to the cast can only be a good move. His character, Rudy, is certainly more sympathetic and much more likable than Nathan. His power – the ability to create an identical copy of himself – is intriguing, especially when each copy has a personality of its own, and will lend itself to some interesting stories this season. My favourite character, though, is Kelly. For me, and I think for most of the viewers last night, she had the best line. Check out the clip below and you’ll witness her deadpan response to an offer of brunch. This entry was posted in Television, The Daily Rant and tagged Heroes, Joe Gilgun, Joseph Gilgun, Misfits, Nathan, Princess Bride, Robert Sheehan, Rudy, Television, Television program, X-Men. Bookmark the permalink. I dunno. Somehow that fits.